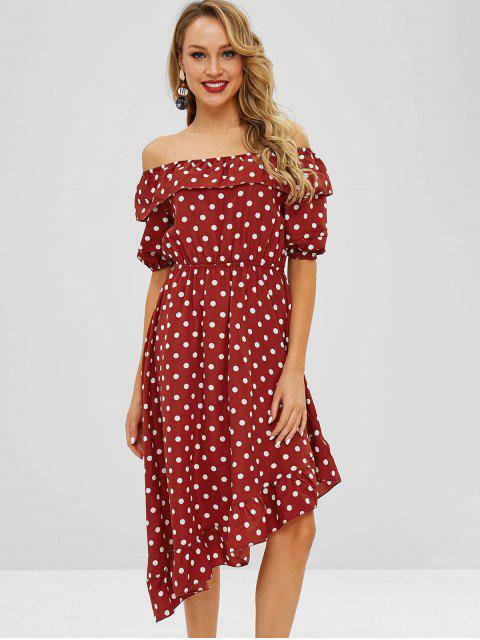 [33% OFF] 2019 ZAFUL Flounce Polka Dot Asymmetric Dress In RED WINE | ZAFUL .. 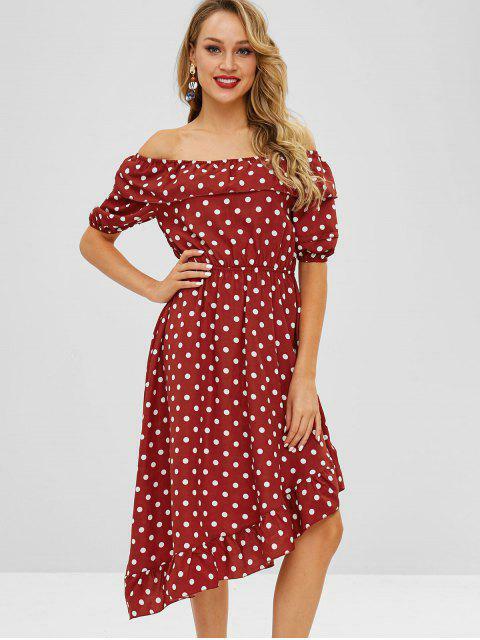 Featuring white polka dots all over to meet your retro dream and an elastic off-the-shoulder collarline with foldover details, this midi dress is cut in an asymmetrical A-line silhouette with fluttering flounce hemline. With the elastic waistband and soft fabric, you will feel it comfortable to wear.